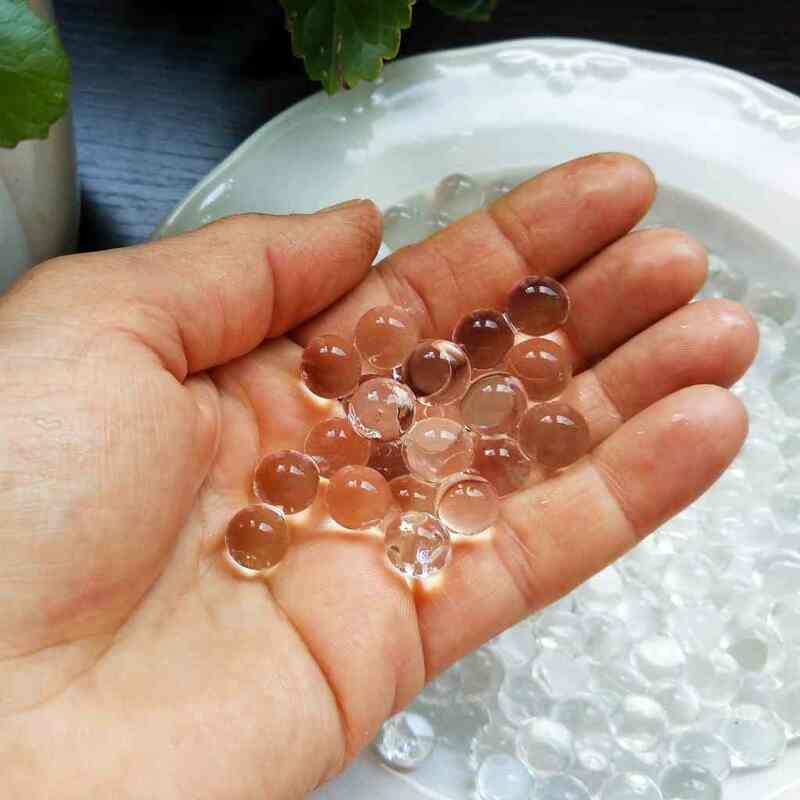 This is a product that goes by many different names: Polyter, Water Crystals, Orbeez, Watergel, Hydrogel, Hydrosource, Water drops, root watering crystals, super-absorbent polymers, PAM, water retention granules, hydrating crystals, water beads, water pebbles, hydrobeads, crystal soil, jelly balls, soil moist, super slusher… The list seems endless and shows how much hope is set into this special product. The only certainty about this topic is that we seem on the verge of a revolutionary breakthrough! Seemingly innocuous, these preparations in pellet or powder form promise wonders regarding water management, be it watering your pots on the balcony or large-scale agriculture, but little is known about the long-term effects. Even before modern science explored industrial manners of increasing water retention in soils, agriculturists were hoping to find ways to reduce runoff and make rainwater “stay there” for crops to use. There’s many different forms of irrigation, and modern hydrogels are assuredly the most recent development to date. However, there are actually many different types of hydrogels. Let’s try to make sense of them. One single word is the key to all of them: polymer! What is a superabsorbent polymer? All living things, from a material point of view, are built up from atoms that are associated to form molecules. Many molecules are small – think “H20” for water here – but some are quite large, like the DNA that holds a transcript of most of our genes. Quite often, the larger molecules are actually a repetition of many smaller molecules, each dubbed a “monomer” that connect to form one long chain, the “polymer”. when the surrounding environment is wet, the superabsorbent polymer will attract water molecules and wrap them around itself. It swells depending on how much water it can absorb. when it gets dry, the polymer will release the water and slowly bunch up. It returns to its original, dry, smaller, harder form. These superabsorbent polymers, or hydrogels, are specifically designed to retain and release water in the hope of helping plants cope with irregular rain or irrigation. Hoarding water and releasing it slowly to plants around it is the primary claim that hydrogel manufacturers put forward. how much it swells compared to its original, dry size. For example, the children’s toy Orbeez ® claims it swells over 150 times the original size of the pellet. A special cellulose-based hydrogel called Polyter ® claims it can absorb up to 500 times its initial weight in water. Special polymers developed in laboratories reach ratios of up to 1,500! Such a capacity to retain water explains why they’re usually used in minute (small) amounts in agricultural applications, sometimes only a couple pounds or kg for an entire field. Theoretically, it should be possible to design water-absorbing polymers in such a way as to make it possible to never need to irrigate at all, provided there’s at least one day of natural rainfall in the year. All the water on that single day of rainfall could be absorbed by the hydrogel embedded in the soil, and released as time passes to the plants around it. Since they swell and shrink with each water cycle, the water crystals push the soil around them away and provide small crevices. In soils that are compacted, heavy clay soils, or in passageways where people always tread, this can be precious help to plants that have trouble developing a root system. Furthermore, this is particularly relevant when soils have been depleted of plant and animal life. Normally, worms and a host of bugs bore tunnels as they hunt, but in contaminated, dead soils, it stays packed. Hydrogel compounds are a solution to make plant recovery easier. When gallons and liters of water pour down from the sky, usually only a fraction of it is absorbed by bare soil. Most of it pools together and runs off, forming rivulets that drag away nutrients and smaller sediments, leaving bare soil that isn’t very nourishing. This is called erosion. Since a single gallon of superabsorbent material can absorb hundreds or even a thousand gallons of water, much if not all of the water is captured on-site, and won’t collect to run off. 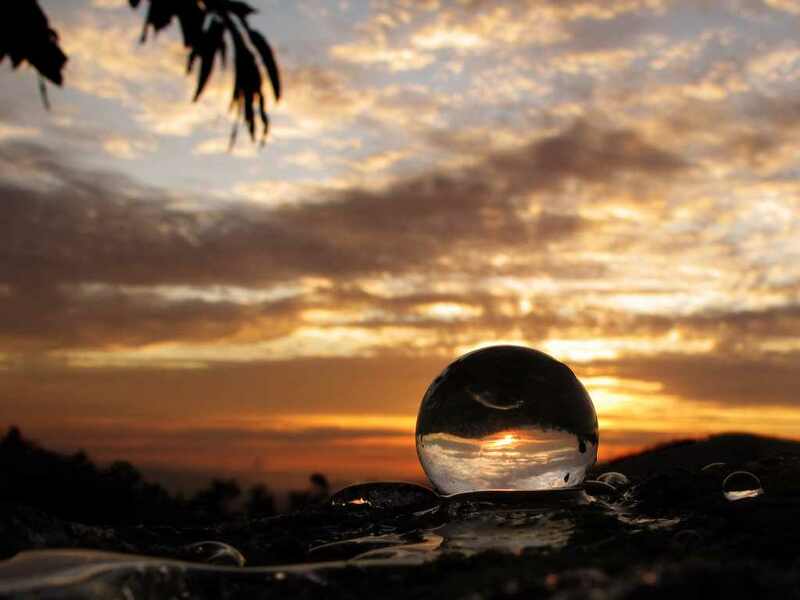 Water isn’t lost to evaporation since it’s held back in the crystals. Roots have a gift in that they always find their way towards water. It has been observed that roots will always locate and colonize pellets or crystals saturated with water. They’ll even grow in and around it to maximize surface contact, forming curious nodes that aren’t so common in the natural world. 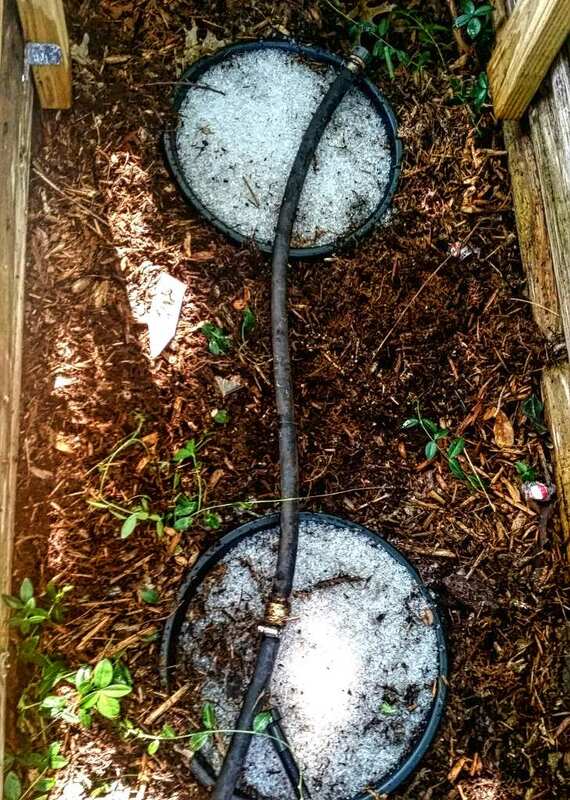 The water retention of the hydrogel slush is high enough to prevent loss through evaporation, but not too high that roots can’t pull the water out, which makes it a great medium for the plants to grow. When pre-loaded upon manufacturing, hydrogels can be infused with chemicals. Fertilizer, nutrients and even herbicides can be embedded in the polymer. As water cycles in and out of the chain-like structure, some of these chemicals are leached out to the environment. This confers precious properties to the hydrogels. Often it is used for good purposes, like Polyter, which adds organic fertilizer compounds to its cellulose-based polymer structure. At other times, it’s used to spread poison, such as when Monsanto, recently acquired by Bayer, integrated synthetic polyacrylamides (a type of polymer) to herbicides. This ensured that the herbicide would stay put and take years to leach out into the ground, sterilizing land or killing off wild flora. Hydrogels in agriculture are very recent developments. There isn’t much research on the various dangers that might result from using superabsorbent chemicals over extended periods. presence of acrylamine monomers in small amounts upon purchase – although harmless when multiple acrylamine polymers are bound together, single monomers have been found to foster cancer. slow release of acrylamine monomers as the product degrades – the polymer breaks down over time into its constituent monomers, but some types have been shown to interfere with reproductive hormones. Even if each molecule is broken down by microbes within at most two months, constant exposure may have an effect. Some agricultural water-absorbing crystals release sodium (salt) as they break down, eventually causing salinization. new chemicals used aren’t perfectly characterized – as with many experimental products, potential issues haven’t yet been extensively researched. physical swelling of hydrocrystals may plug or block intestinal tracts of animals and insects when ingested. many hydrogel products are produced in places that don’t have stringent environmental guidelines and industrial practices. Sometimes what is in the bag isn’t what is advertised. One particular study sought to clarify the importance of natural, organic soil amendments compared to hydrogel water crystals. The conclusion was rather surprising: although using both manure and hydrogel did produce the highest results, pure manure came in a very close second. Even though solutions such as Polyter strive to rely as much as possible on organic, natural materials, they’re still compelled to include some amounts of minimally dangerous potassium polyacrylate. Why take unknown risks when proven solutions already work? Great organic, healthy solutions to provide sufficient water and nutrients for your plants are already within reach. Peat – a great soil amendment that doesn’t have any negative impact where it’s used, although harvesting it isn’t yet fully sustainable. Along with ancient and modern irrigation solutions, this ensures that the soil in our gardens will stay as healthy as nature has intended it to be! great information bout hydrogel you have given in your article, thanks for sharing such good stuff with us.